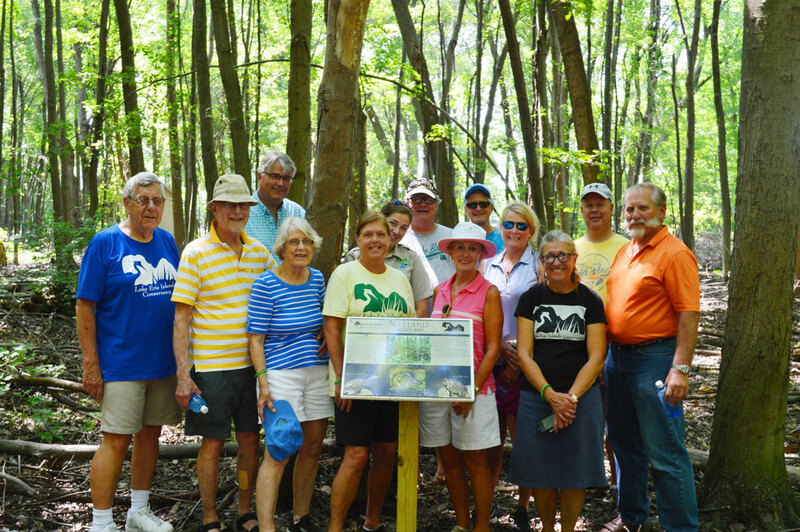 12 acres- The Put-in-Bay Township Park District received a Coastal Estuarine and Land Conservation Protection grant and a Clean Ohio Conservation Fund grant in 2016 to purchase an additional 12 acres of wet woodland adjacent to the other parcels already owned. On January 11, 2018, the PIBTPD closed on seven acres from the Dieperink Family. 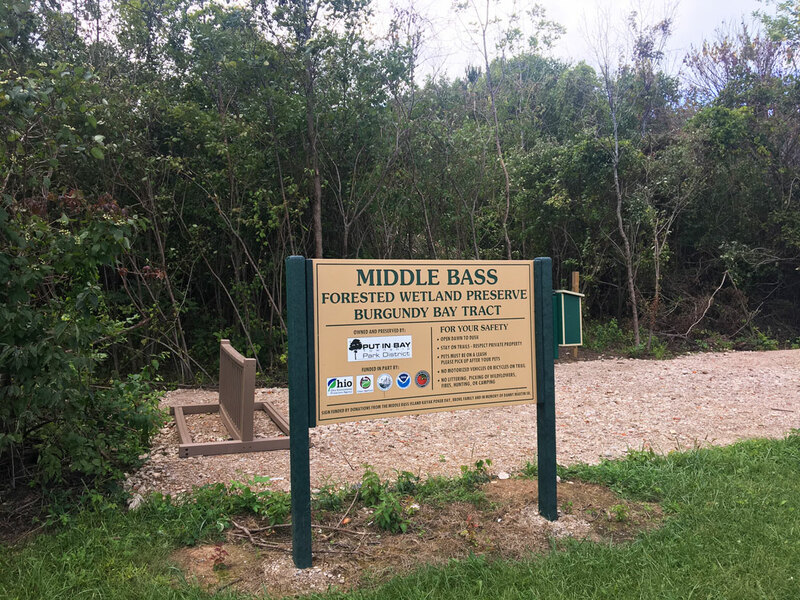 We hope the other purchase to be completed in 2018 with a total of 24 acres then available for walking trails on Middle Bass. 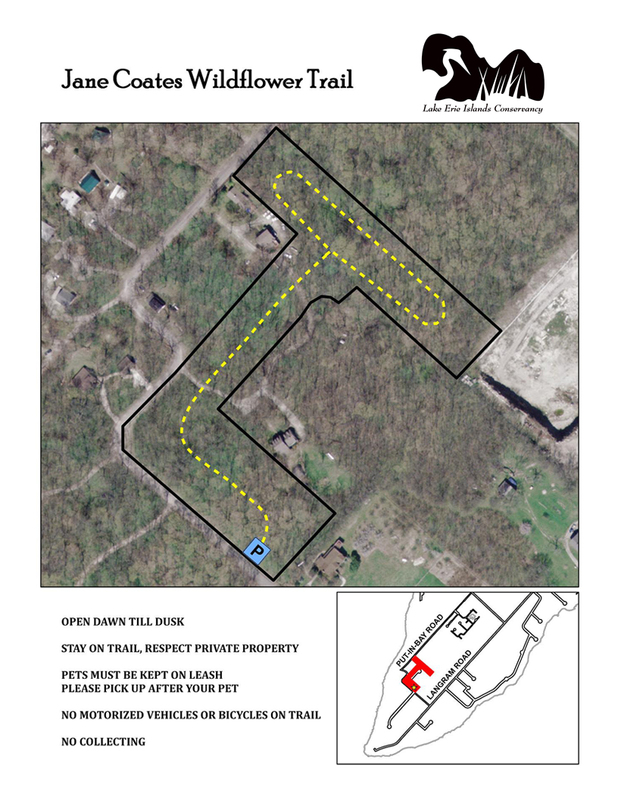 A new trail as designed by Lisa Brohl and Theodora Pertner and installed by Schmidlin Construction with a parking lot and interpretive sign (donated by Jim and Betsy Brohl). A bicycle rack donated by Julene Markter was put in place. Ribbon Cutting at the new property. 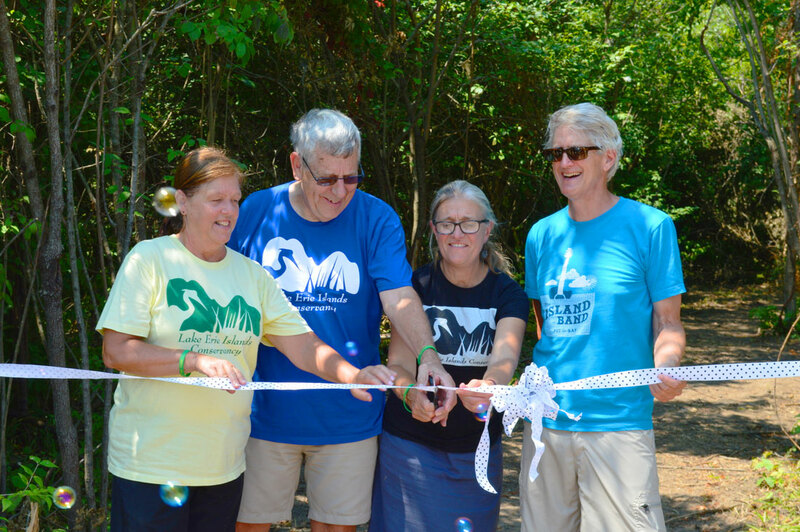 A dedication was held August 5, 2018 as part of Island Green Week with a cake reception after at the Middle Bass Island State Park picnic pavilion. The ribbon was cut by Kelly Faris, Lisa Brohl, Bruce Miles, and Nancy Welter. Donors Jim Brohl, the MBI Poker Kayak Paddle Event, and in memory of Dan Martin Sr. helped purchase the sign for the location.